You will find the most frequently asked questions on this page. If you don’t see your question answered on this page, then we will be glad to assist you personally. Our friendly and capable staff is available for you at: +49 89 / 785 767 33 60 – Monday through Friday from 9am to 6pm – and on Saturdays from 9am to 2pm. Who or what is ZeitLager? ZeitLager Self Storage GmbH was founded in Munich in 2004 and currently operates over 20,000 m². There are approximately 2,500 storage compartments in 4 locations in and around Munich. For over ten years, the company has the goal to provide residential and commercial customers with quality service at fair and transparent prices. Flexibility and support for the customers’ individual situation is for us a matter of utmost importance. What does self storage mean? What can ZeitLager offer me? The English term Self storage means something like “store it yourself.” Term storage provides private individuals and companies the opportunity to rent clean and secure storage compartments of 1-40m ² . Storage compartments can be used 7 days / week from 6-22 clock. In these times, you can access your storage compartment whenever you like – without reservation. In addition to renting storage compartments, ZeitLager offers various moving cardboard boxes such as special books or boxes for clothing. Ok, I want to store my belongings with you… what’s next? Call us at 089/785 767 33 60 or write us at: info@zeitlager.de. You are welcome to visit us in person on site. Our friendly and knowledgeable staff are there to assist you find the right storage compartment for you. 97% of our customers were able to save time and money by consulting with is before actually starting the rent. Our storage calculator (add link) helps you to estimate the required storage space. After you have selected the correct compartment and found the appropriate insurance, you can start your rent – it is as easy as renting a car. In less than 15 minutes you will have your PIN code and can start storing your belongings. Can ZeitLager be found on Facebook? You like ZeitLager and you want to show it? On our Facebook page, you have the chance to do just that. Here you can always find the latest posts from us and our friends. How safe is my storage compartment? Secure storage of your belongings is of utmost importance to us! The storage facility at ZeitLager is only accessible with a PIN code. Also: All storage facilities are under video surveillance 24 hours a day. Our locations are also patrolled by our security service. Our buildings contain multiple PIN access points. They are located in elevators, entrances and of course access your individual storage unit. Our storage units are not only clean, dry and hidden from view. Pest surveillance and control systems are installed in all of our storage locations. Each storage compartment is electronically monitored and lockable by means of a safety lock individually. Smoke detectors and fire alarms complement our safety concept. This is why since opening our first storage location, there has been no single theft attempt. You can store almost all legal articles, provided that no environmental damage and other danger comes from your stored objects. Not allowed to store are the following items. The storage compartment must not be used for residential purposes. How long can I store my files? You can store your files as long as you need. According to § 147 AO, in Germany the prescribed retention obligation is 10 years and more. Our friendly expert staff will gladly advise you and help you plan your your personal file storage. You even have the option of renting shelve and file systems that match your file storage needs. For more information please click here. Am I allowed to storage wine? Yes – and you can do this 365 days of the year. For our customers we have built compartments where wine can be stored safely. Often exquisite wines are bought as an investment. In our wine cellar your wines are stored with constant temperature and humidity control. Regular customers, sommeliers as well as restaurateurs appreciate it very much that their fine wines are not only optimally stored, but that their wines are very safe and easily accessible at almost any time. Can I store my car at ZeitLager? 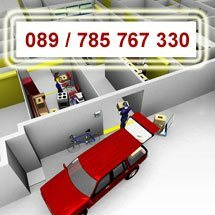 ZeitLager offers you and your car a clean, dry, safe and secure storage solution. From professional garage to the individual showroom. How and when can I cancel my storage contract? The notice period is 2 weeks – there are no restrictions in terms of the binding date. You can cancel your rent at any time. You can download your letter of termination here (add link). Just print it and send it to us. Alternatively, you can sign a fixed-term contract. This way, the contract will naturally end at the end of the agreed upon storage date. Be assured that rental cost is prorated to the day. That means, if you move out after 3 months and 4 days, you only pay for those 3 months and 4 days… and not more. You can pay by direct debit, credit card, bank transfer (debit or credit card) or cash in advance. We will always be open and transparent. You should only pay for what you really need. We guarantee this by our expert advice that will charge no m² too much. Calculating the price of rent to the day means you only pay for as long as you need your storage compartment – and not even one day too much. Are my stored belonings insured? Yes, they are. As part of our security concept it is mandatory for you to insure your belongings – very similar to your home insurance at your home. A homeowner, for example, your landlord, usually has insured his building (against fire, water damage caused by falling building parts), but this insurance does not cover for objects in rented apartments themselves. This is why you need your own insurance as a tenant. Only you know the value of your objects within the appartment. With a rented storage compartment it is very similar. As a tenant you are obliged to appropriately insure your stored items. You can also talk with your insurance company and get a confirmation that your stored belongings are insured in your storage compartment. Far less bureaucratic and faster is the insurance that ZeitLager can offer you as well. The insurance already starts at € 1.50 per € 1,000.00 of stored value. In the event of a loss or damage we will help you make a claim against the insurance. We will be glad to advise you about the various options. How do I calculate my storage need? Most customers overestimate their storage needs and usually rent more storage than they actually need. ZeitLager rents self-contained storage compartments in sizes from 1-40m². To determine your individual storage need, you can use our storage calculator or ask our experienced staff by calling: 089/785 767 33 60. We can assist you in choosing the correct size of your compartment. This way you both save money and time. Hint: for customers who wants to move, usually the following applies: 8-12% of the floor area gives the approximate required surface (not considered in this calculation are your basement or your kitchen). For how long can I rent a storage compartment? You can rent the storage compartment as long as you need to rent it. The minimum rental period is 1 month. You can cancel at a notice of 2 weeks – without a binding date. Therefore, you determine the duration yourself. What is the difference between 4-week prices (competitors) and monthly prices (ZeitLager)? Monthly rates are are the fair option (which corresponds to your appartment rent: ‘only’ pay once a month for the whole month, from the first of the month until the last day of the month). 4 weeks prices (always corresponds to 28 calendar days). So it may very well be possible that you have to spend two months’ of rent in a single month). This is why 4 weeks prices cost about 10% more! Many people think that 4 weeks always equal a month but this is not correct and leads to unpleasant surprises in the form of of new bills every 4 weeks. Therefore, there are months where you get two rental invoices. Thats why elsewhere you pay 13 times per year and not 12 times as is the case with us. 4 weeks prices: Suppose you would rent your storage compartment for one year 1, then you would pay for 52 weeks … so (52 devided by 4 equals 13) 13 times – although you only rent for 12 months! Here at Zeitlager you really only pay for 12 months and not one day too much! Is there a way to get discounts such as long term rental discounts? ZeitLager offers the possibility to obtain various discounts. Thus, for example, you can get additionals discounts if you specifiy an exact rental period in advance or if you decide to pay in advance. These discounts are based on the duration of rental and the amount of the advance that you are willing to pay. We will gladly provide you with a tailor-made offer according to your needs. Just ask by calling us at 089/785 767 33 – 60. What should I consider when packing my stuff? Especially dangerous for your back are boxes packed with books and dishes . Here it is advisable to take our small heavy duty boxes or to mix books with lighter objects. When storing your belonings, please use our transport aids such as trolleys. These are available for you in our locations at no additonal charge. You can directly unload your vehicle and once you are here your items using a trolley. No carrying or towing is necessary! This is convenient and prevents unnecessary injuries. We hold a variety of boxes and packing materials for you. If you buy more packeging material than you actually need, then you can return those unused moving boxed at any time – we will lower your rental price by the amount of objects that you bought from us but haven’t used. Please talk to our friendly staff. Feel free to check out our shop to see what material you can buy from us. Please do not forget to label your boxes! Only then will you find your belongings without much searching. This way – when you move to a new appartment or house – you can put the boxes in the correct room from the beginning. The storage of your belongings in our storage boxes saves you money when you use our high quality moving boxes. This way you can most effectively use the provided height of up to 3 meters. Can I rent a van or a moving truck? Of course, we can assist you in obtaining a suitable means of transportation. You can either rent a transporter, a “Sprinter” or a truck that carries up to 7,5 tons. A professional move is one where you have appropriate transportation. This way, you will save unnecessary trips and save time. Very popular with many of our clients are 7.5 ton trucks with a liftgate. Find out more by contacting our friendly staff. Simply call 089/785 767 33 – 60. I have to deal with parking difficulties.. do you have any advice for me? When you need to carry heavy boxes, then of course you try to reduce long walks as much as possible. This is why you should secure yourself parking in front of your apartment before the day of your move. When unloading at our storage facility you can directly drive in front of the freight elevator, quickly and easily. With our trolleys you can access your storage compartment very easily. At your old appartment you can obtain a special permit for parking. You can get this permit at your local administration department or at the local civil authority. This permit costs between 26-175 euros (depending on the workload and duration) and is issued for specific locations and times. A shut-off service needs to be paid extra. These costs differ from city to city. What happens if my storage needs changes during the time of my rent? Of course, this is possible at any time and at no extra cost. Our staff will always be there to answer your questions and reserve you a storage compartment. This way, the right storage compartment will be available for you at the right time. In any case, rental costs are calculated on a daily basis. When do I have access to my storage compartment? What are the opening times? Our customers have unristricted access to their storage compartments 7 days a week from 6-22 clock, 365 days a year – even on Sundays and holidays. If you need to access your storage compartment at a different time, we can set this up in an individual case. Our local staff is at your disposal from Monday to Friday during office opening times from 9-18 clock and on Saturday from 9-14 clock. Can deliveries / packages be accepted for me as well? Yes, we accept packages and deliveries in your absence for you during normal office hours. Can disabled persons access the storage compartment? Yes, this is possible but in this case please make sure to call us before you actually rent your storage compartment. This way we can make sure to provide you with the right storage compartment.